Confirmation Holy Bear by HolyBears was published by HolyBears in September 2003 and is our 10732nd best seller. The ISBN for Confirmation Holy Bear is CAUGRCO. Be the first to review Confirmation Holy Bear! Got a question? No problem! Just click here to ask us about Confirmation Holy Bear. 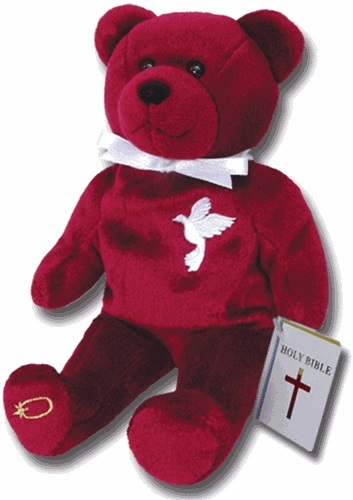 Does the Confirmation Bear have a biblical tag attached to it's hand like the Communion Bear that carries a communion greeting card featuring the words of John 14: 6. ? A:Yes, it does contain a tag which reads: Then laid they their hands on them, and they received the Holy Ghost. - Acts 8:17 Thank you for using the Q&A forum.